Celebrate the coming of spring and the ascendance of the best Illinois wines, plus wines from Spain, Italy, California and more, at Wine on the Fox! Tickets go on sale 9 a.m. on Monday, March 4, for Wine on the Fox, returning for the 13th year on Saturday, May 4, and Sunday, May 5, to Oswego. The Illinois wine industry has exploded in recent years, claiming its spot among other famed wine-growing regions. Come discover what Oswegoans have known for years – that Illinois IS wine! 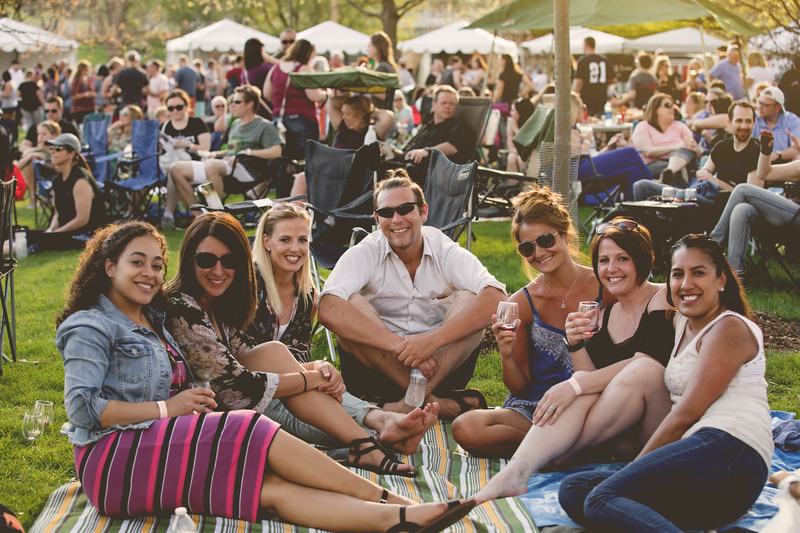 See for yourself — enjoy local wine selections from around Illinois plus selections from other famed international wine-growing regions at this unique wine festival. Plus, tempt your senses with wine pairings from a variety of food vendors, sit back and chill, or get up and dance to live music from Wild Daisy, Cadillac Groove and other fan favorites, and let the kids roam with children’s activities at this family-friendly event. Most importantly, Wine on the Fox offers an opportunity for friends and neighbors to come together to toast to the arrival of spring in a fun, family-friendly atmosphere, all benefitting the Oswego community. Proceeds from Wine on the Fox benefit Oswego event programming and community amenities throughout the year. Fourth of July fireworks, Movies in the Park and other fun for Oswego families is made possible because of the contributions of Wine on the Fox sponsors, participating businesses and attendees. Entry is free. Packages begin at just $15 when purchased online or at Village Hall before the event and include a commemorative glass, a wristband, and seven wine tickets, and this year, all 1-ounce servings are just one ticket each, making Wine on the Fox the perfect entry point to learning about wine – and a great opportunity to discover new favorites. Then buy a full glass, or take home a bottle or case!